How time flying! 2011 Chinese Lunar Spring Festival will come soon. In the past time, we have run successfully by the support from our customers, suppliers, friends, colleague. We hope 2012 will be much better, and every body can enjoy the warm Spring Festival. 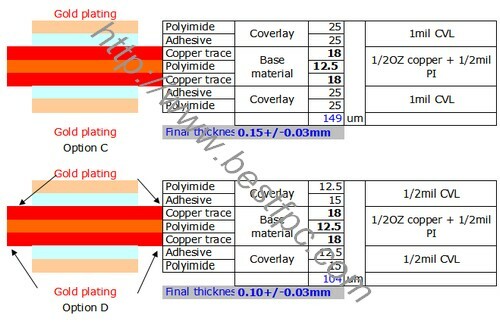 For orders of normal 1Layer FPC , dual access flex circuit and 2Layers flex circuit release in this week, we will make and ship before our holiday; for Rigid-flex circuits, or multi-layers flex circuits, or order receive in Jan will be postponed to be shipped in Feb. 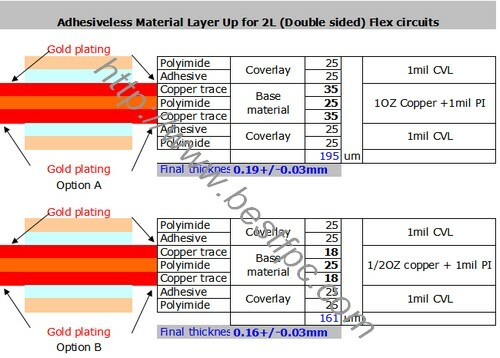 Following up with the last article Normal Thickness for 2Layers Flex Circuit (Adhesive), here we’d like to share thickness for 2L flex circuit if using adhesiveless material. 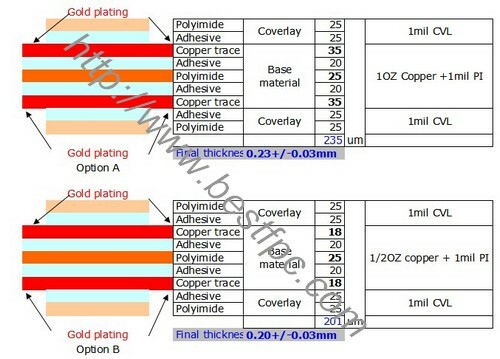 We also have other special material, such as 1mil Polyimide + 2OZ (70um) copper adhesiveless, (from Dupont). If you need more information, please contact us. 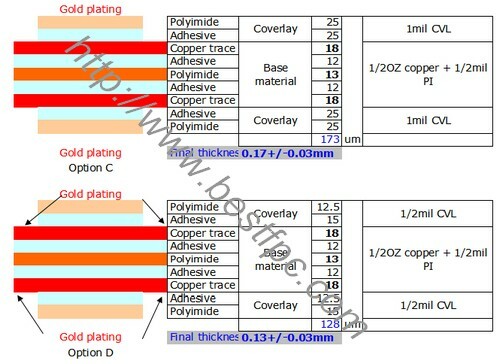 Different from rigid FR4 PCB, there’re three basic layers for flexible circuits, and various thickness of each maybe used, so people new to that area will be confused to choose a suitable thickness.